While the looks of your carpet are very important to maintain and keep clean, it isn’t the only thing you should be worried about when trying to keep it in top condition. Some homeowners may keep their carpet cleaned and looking nice, but there may be something off. The house may smell a bit strange. Now, whether the smell is from pets or just usual traffic, it is never a good thing to leave your carpet smelling strange. Sometimes keeping your carpet clean means you have to use a cleaner that doesn’t really smell the best. This can be very annoying if you have guests that are coming over. If you carpet is smelling strange from just traffic or from the cleaning product used on it, let us apply one of our delightful smelling deodorizers to your carpet. 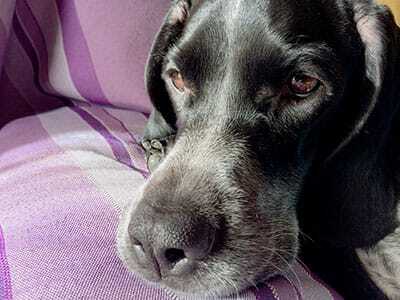 Since pets are usually the culprit of bad smelling floors, owning one can definitely cause your carpet to smell bad. Even if you can’t really smell your carpet, your guests certainly can and you wouldn’t want them to walk into an odd smelling home. Now, while you may have a decent smelling carpet cleaning product, it may help to have a deodorizer to keep your home smelling fresh at all times. Now you may be wondering why you would need a deodorizer when you have already been cleaning your carpet. Well, smells can actually hang around and be a lot tougher to get out of carpet when you use a carpet cleaning product. Sometimes the smell from your cleaner isn’t so great to begin with. So, when we apply our deodorizer, we make sure that it’s smell is met with your approval. But we highly doubt you will say no to any of the deodorizers we have picked out. The deodorizers we use don’t use the usual chemicals to create a nice smell. Instead, we have chosen products that use natural scents that are allergy safe to help freshen up your home. Some other deodorizers can be harmful because the chemicals used in them can cause allergic reactions. So, we have chosen to stick with deodorizers with natural ingredients that don’t cause allergic reactions. You also won’t have to worry about your pets, because the products we use are pet friendly as well. When we apply our deodorizer, we make sure that the cause of the bad odors has been cleaned up so that it doesn’t eventually start to smell again later. Plus, if we did leave the cause, it could sink into the lower layers of your carpet and become very tough to get out. After we eliminate the cause, our carpet cleaning professionals will apply the sweet-smelling deodorizer. But before we apply just any of our amazing smelling deodorizers, we will make sure you approve it first. Then we get on with the application and get your home smelling sweet and fresh. 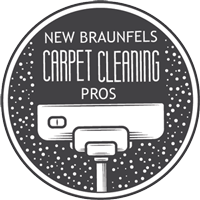 So if your home needs to be deodorized, give New Braunfels Carpet Cleaning Pros a call today.